Real smart and inspirational guide to choose and decide on a destination, the travelby.airfrance.com site is a real support tool while traveling. 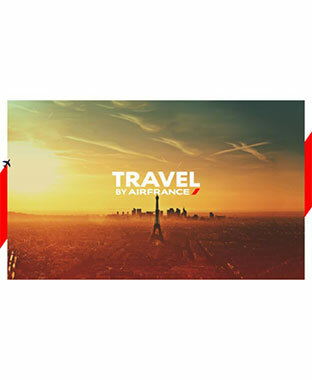 Travel by Air France is in the upmarket approach of the Company and enhances the editorial content of its reservation website. For each of the first 89 offered destinations, the site reveals a wide selection of findings by category: restaurants, boutique hotels, scenic spots, museums etc developed by lovers of their city (network of bloggers, e-influencers, journalists, etc. .). Each month, two new destinations will enrich the site, for more novelty. To this combination of practical information add a travel book, for organizing and downloading content selections, as well as the opportunity to book your ticket directly from the website Travel by Air France. Already available in French and English, the site will be available in Spanish, Portuguese (Brazil) and Chinese. A. F.-M.